Yamaha Outboards has proudly operated in the U.S. market for nearly 30 years. In that time, the engineers have become known for their relentless pursuit of a more satisfying boating and ownership experience. 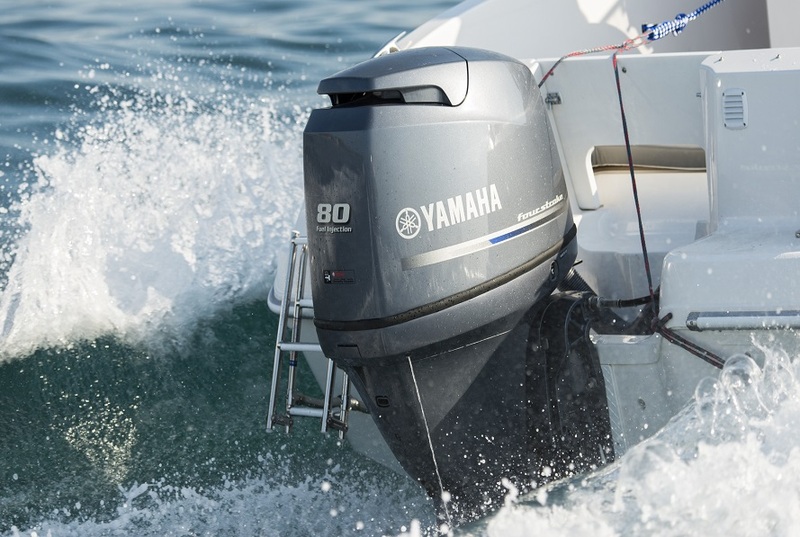 As a result, Yamaha Outboards have become synonymous with innovation, performance and legendary reliability. Gulf Marine is an authorized retailer and service center for Yamaha Marine products. Give us a call with any questions or for any assistance. The Offshore series presents to you three motors full of might. The V6 3.3L, V6 4.2L big bore and the powerhouse V8 F350C 5.3L big block. When you want big, you should explore the action-packed power of Yamaha. With the world's first 5.3-liter four stroke outboard, the F350C provides unparalleled displacement and up to 45% more thrust than 250hp-class outboards. When it launched in 2007, its industry-rocking 60° DOHC, and 32-valve, 5.3-liter design redefined offshore power. Yamaha Marine motors are smartly designed and on display at Gulf Marine in Panama City, Florida. The V MAX SHO® series are game changing four stroke motors. You can pick from the I-4 V Max Sho or the V6 V Max Sho in a 4.2 liter big bore package. Either way, you will be powered for a great day on the water. The four stroke V MAX SHO® offers all the advantages of a two stroke in a clean burning, fuel efficient four stroke. It’s a level of performance that pro anglers have always wanted on the tournament circuit. And it’s officially put two strokes on notice. The In-Line Four series are Incredible versatility. That’s why there are more than 100,000 Yamaha In-Line Fours on the water today—and that’s just counting the F150s. Now, the family includes the same reliable DNA in its F200, F175 and F115 horsepowers. The in-line four-cylinder designs and electronic fuel injection make these babies strong, nimble, compact and light weight. In other words, they’re up for anything, making them the perfect power for cruising, skiing and sport fishing on flats, decks and offshore boats, and pontoons or deep-V hulls. The Midrange series bring forward eight unique motors ranging in size from the mighty F90 down to the nimble F25, they offer just the right amount of power for a variety of applications. These 2-, 3- and 4-cylinder dynamos are quiet, clean-burning, reliable performers. But that’s not all they have to offer. Yamaha midranges from F30 all the way up to our F90 feature Precision Multi-Point Fuel Injection, for instant starts and added reliability. The Portable series are incredibly light, weighing as little as 37 pounds. Available in a range of horsepower from the F20, to the F2.5, including the redesigned F8 with 7.5 percent more displacement, these 1- or 2-cylinder dynamos provide big performance in streamlined designs. With the 2016 redesign of the F2.5, now all of Yamaha’s portable outboards are 3-Star Certified for Ultra-Low Emissions by the California Air Resources Board (C.A.R.B.). The High Thrust series are designed for those wanting a little extra push. Available in a range of horsepower from T9.9 all the way up to the beefy T60, our high thrust outboards have the muscle to move heavy pontoons and sailboats or to be your kicker for a full day of fishing. These feisty four strokes serve up twice the thrust of comparable two strokes in the 2000-3000 RPM range. The Jet Drive series brings the adventure the moment you start one up. Propeller-free and powerful, these nimble four strokes boldly go where no conventional outboard would dare. Lightweight, versatile and quiet, our jet drive four strokes come in a wide range of horsepower options to fit your boat and application. Yamaha jet drives are amazingly fuel efficient and quiet, too.